SODC has just issued the refusal notice. So now we all wait to see whether the Developer respects the unanimously expressed will of the very people they claimed their scheme would serve. Or whether they enrich the legal profession by going to Appeal. They have, we understand, six months to make that decision. This entry was posted in Uncategorised on 25th May 2016 by Mind the Green Gap. 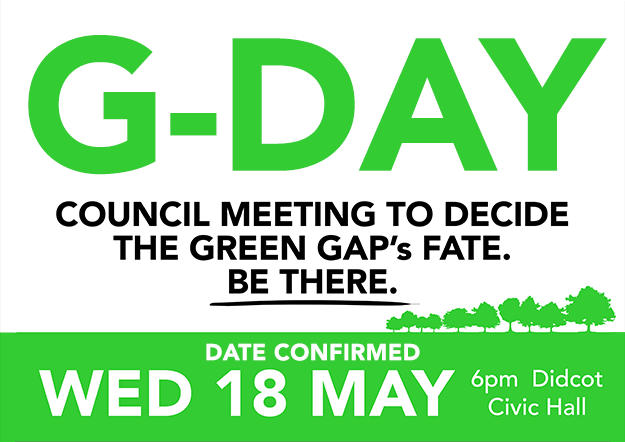 The Green Gap cause is much more than a ‘local’ issue. The loss of a strategic space between Town and Village would have lasting impact on the social, environmental and economic future of the broader area. And it would curtail the Council’s plans for a vibrant future for the District. So it’s little wonder then that the Green Gap has been in the news this past week. The issues are big news. The momentous unanimous decision by SODC’s Planning Committee to throw out Grainger’s plans is big news. The community’s delight is big news too. This entry was posted in Uncategorised on 20th May 2016 by Mind the Green Gap. SODC’s Planning Committee voted unanimously last night to refuse Grainger’s application. The committee was persuaded by articulate well reasoned argument from the Campaign, East Hagbourne Parish Council, Didcot Town Council and Cholsey Ward Councillor Jane Murphy. The committee was persuaded too by a show of unity in opposition that was outstanding. Over 170 residents from Town and Village attended the meeting. They made their presence and passion know. Their voices were heard. Well done to all. And congratulations. You Saved the Green Gap. This entry was posted in Uncategorised on 19th May 2016 by Mind the Green Gap. This entry was posted in Uncategorised on 17th May 2016 by Mind the Green Gap. This is a long post. However, we make no apologies. It is a beauty. It is also outstanding. The Officer’s report makes reference to it, but only quotes from it in a highly selective manner. We think it deserved to admired, enjoyed and respected in its entirety. Just like the Green Gap itself. 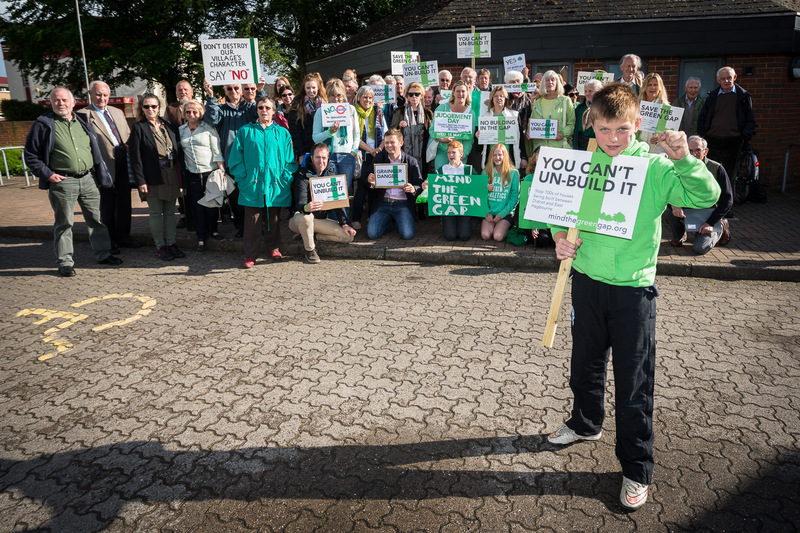 “Having viewed the plans, the AONB would object to the proposed development. Although not within the AONB the development sits within the landscape which forms part of the setting of the AONB. 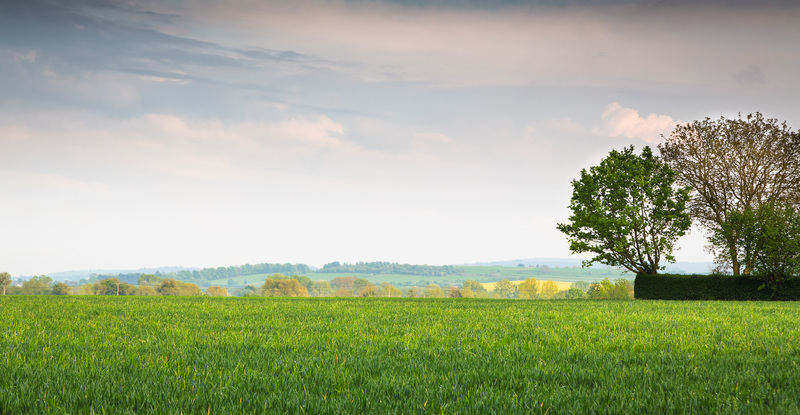 The gently rolling fields to the East of Didcot provide an open character, one which is relatively untouched by development. The site forms a platform for long distance views into the AONB which is a ppositive characteristic. This entry was posted in Uncategorised on 12th May 2016 by Mind the Green Gap. 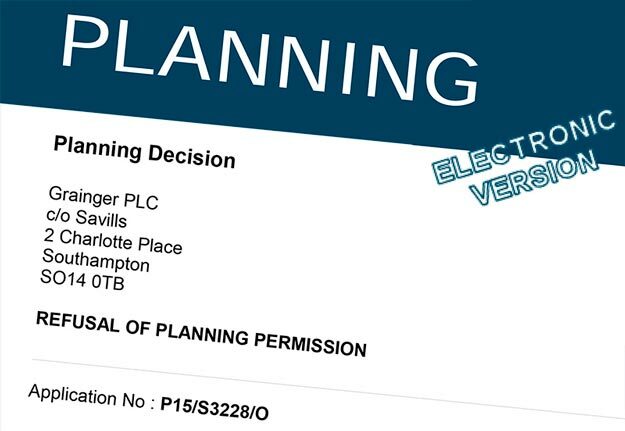 Many of you will have seen that SODC’s Planning Officer has decided to recommend that the Planning Committee approve Grainger’s speculative planning application on Wednesday 18th May. So why has that happened and does it matter? Let’s start by recognising that Planning Officers are under pressure. Their job in life is to help development happen. Just as we all want the Planners to help our kitchen extensions get approval, so developers have a right to similarly positive assistance. Officers also have to contend with government policy directives to get more housing approved. That the Officer has therefore recommended Grainger’s application for approval comes as little surprise. In fact with the benefit of material we have managed to get released under the Freedom of Information Act, it has been pretty clear that the Officer has been minded this way for a very long time. What is so disappointing however is that the whole process of “consultation” has been shown up to be a complete and utter sham. As well as being a huge and hugely disrespectful waste of residents’ time. This entry was posted in Uncategorised on 11th May 2016 by Mind the Green Gap. SODC have confirmed that Grainger’s application will be heard next week. 6pm on Wednesday 18th May at Didcot Civic Hall. The Planning Committee has the authority to approve or refuse Grainger’s application. There are many complicated planning arguments for the Committee to consider, but one big political issue. Are the members prepared to ignore the views of their constituents? 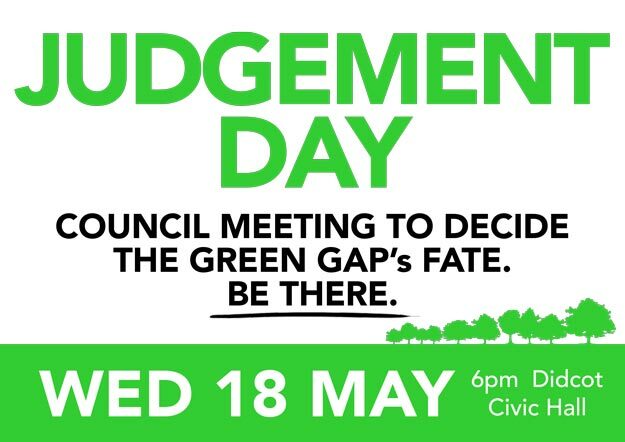 A sea of faces at the Civic Hall on the 18th will show the Committee how much we care. A large turnout of residents will give it the moral authority it needs to support its community. A conspicuous local presence will urge them to show this outside speculative developer the door. Please attend the meeting on the 18th and show them how much you care. There’s more information about the big day on the Object page of the website. Spread the word! 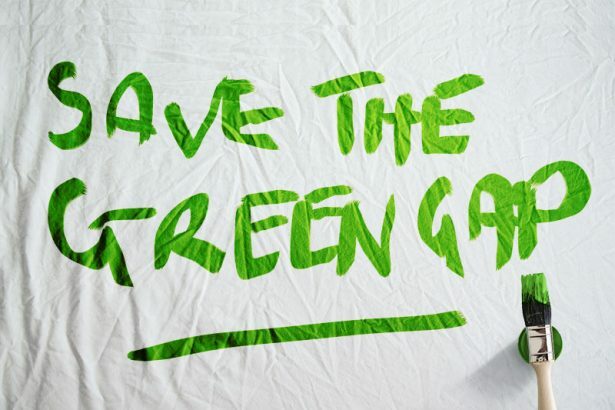 And Save the Green Gap. This entry was posted in Uncategorised on 10th May 2016 by Mind the Green Gap.